mount housings to plates,than you can mount clamps to plates. Replace 43mm screws to holes except 2 holes.Use 50mm screws to 2 holes of plate. Mount L joiners to plate with 6mm m3 screws. 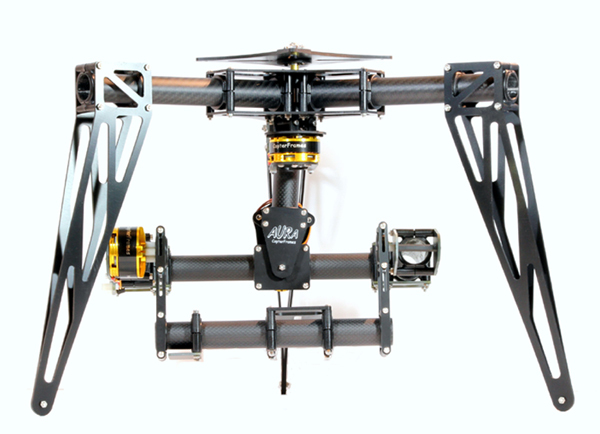 Mount CopterFrames pan axis motor to plate with 6mm m3 screws. Replace 10mm inner dia clamp between L joiners.use 25mm screws. Replace 70mm m6 screw . 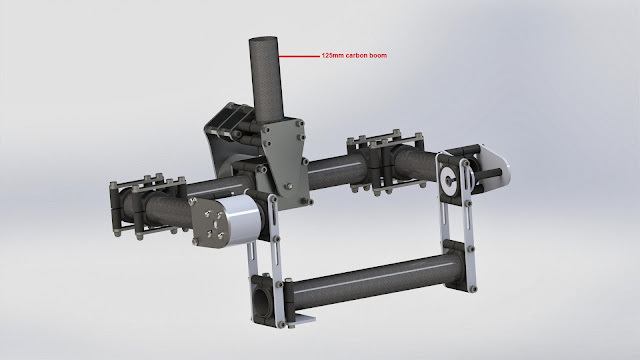 Replace 230mm carbon booms before tighten screws. Now,we can mount pan motor. And finally it is ready to for your frame. A little trick,please be carefull when you tighten the center screw.it must be tightened but not too much.Motor-shaft must turn without friction.